New England Shea Butter LLC. All international customers please call or send an email for precise shipping costs. Your source for 100% Pure Shea Butter Products! Shea Butter is your skin's best friend. It closely resembles our body's natural oil which makes it more prone to get absorbed deep into all seven layers of our skin. It has natural medicinal properties and is naturally high in vitamins A, E, and F. These properties aid in healing wounds, scars, stretch marks, blemishes, Eczema, and Psoriasis. It naturally repels insects and has 15 SPF to aid in sun protection. Raw Shea Butter is naturally high in stigmasterol, which is an anti-inflammatory and aids in relieving joint pain, muscle pain and arthritic pain. Shea butter is an off-white or yellow fatty substance which obtained from the nuts of the shea tree from West Africa, typically used in cosmetic and natural skin care products. Full of all-natural vitamin A, 100 percent pure, unrefined, raw shea butter aids in numerous skin conditions such as blemishes and wrinkles, stretch mark prevention during pregnancy, muscle fatigue, dermatitis, and radiation treatments for certain medical problems. Indeed, because raw shea butter is extremely moisturizing and very hydrating, when applied to the skin, it provides immediate softness and smoothness. But it has other proven benefits. The National Center for Biotechnology Information published a study indicating that shea nuts and shea fat (shea butter) constitute a significant source of anti-inflammatory and anti-tumor promoting compounds. Another study from the American Journal of Life Sciences claims that shea butter boosts collagen production, demonstrating anti-aging properties. Raw shea butter is rich in stearic, oleic acids and benefit-rich vitamin E and vitamin A. 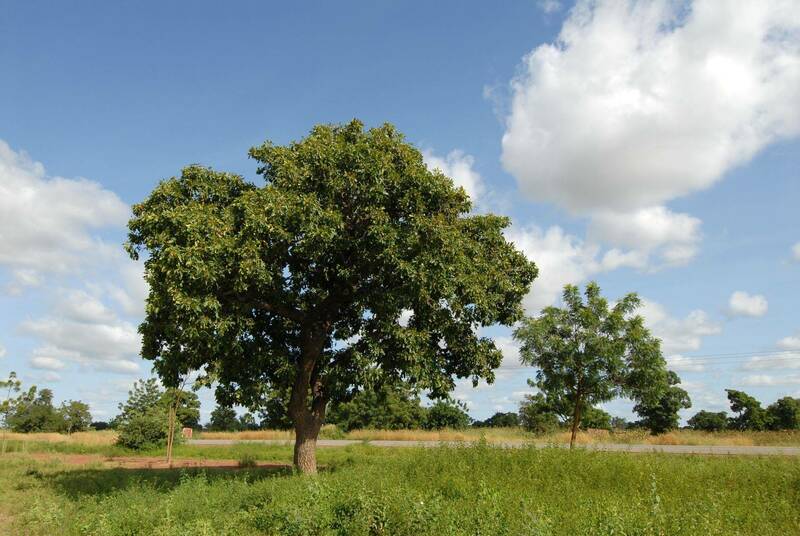 The shea tree is used as a source of vegetable oil containing about 45–50 percent oleic acid, 30–41 percent stearic acid, 5–9 percent palmitic acid and 4–5 percent linoleic acid. The best shea butter is extracted using cold pressed methods without added chemicals or preservatives. Shea butter is smooth in texture and does not liquify at room temperatures; however, it will soften in your hands, making it easy to apply. Containing vitamins A and E, it has relatively high amounts of saturated fatty acids (like MCT oil) when compared to other plant-sourced lipids, such as grape seed oil, olive oil and canola oil. Cosmeticsinfo.org reports that The Food and Drug Administration includes shea nut oil on its list of direct food substances affirmed at Generally Recognized as Safe (GRAS). While it is more common in beauty products, shea butter is often found in a variety of confections and chocolate as a cocoa butter substitute. The Journal of Oleo Science reported that through its studies, shea nuts and shea fat (shea butter) was found to reduce inflammation. The studies also showed that shea butter contains a significant source of anti-tumor promoting compounds such as cinnamate esters, which also make up the health benefits of cinnamon. More benefits of Raw Shea Butter are listed at the bottom of this page.